As infrastructure migrates to the cloud, the modern cloud startup needs to differentiate itself from the pack with a clear unique selling proposition and a solid inbound marketing strategy. Use the following checklist to build a strategy that fits your business model like a glove. In developing your inbound marketing strategy, you will need to clearly identify what you expect your revenue model to look like. While it is obvious that your cloud startup will be based on a subscription revenue model, this is only one of many questions you will need to clarify about how you plan to bring in revenue. Will your primary source of revenue be a small number of clients with a large subscription fee for each, or will it be a large number of customers with a relatively small fee for each. This plays a major part in both the tone and the strategy you will need, to deploy in your inbound marketing strategy. Will clients or customers have access to a free trial before they start paying a subscription? A free trial is a very different type of conversion than signing up for a monthly payment and will have dramatic impacts on how you approach your strategy. Will there be a “freemium” component to your business? If so, considering the rate of adoption of the paid product after use of the freemium product will have a dramatic impact on your approach, and your lead funnel will look very different. How much of a role will product tiers and additional services play in scaling your business? To what extent do you intend to focus on adding customers, and to what extent do you intend to add value for existing customers? While you can certainly revisit your revenue model both in the process of completing this checklist and in the trial and error that inevitably comes with launching a business, it’s important to have some idea of how you expect it to look before continuing. What role will you play in the cloud distribution supply chain? Will you focus primarily on building and supplying infrastructure? Are you more on the SaaS side of things? Are you a back-end developer and will help marry the two disciplines? Are you a vendor selling to the final consumer or a distributor selling in the B2B marketplace? The answers to these questions will change your marketing strategy in fundamental ways, and it is absolutely necessary to have a clear handle on this aspect of your business. Once you have identified where you are in the supply chain, you will need to determine who your primary and secondary audiences are. Are distributors and vendors your primary customers, or are they partners who will help you sell to the end consumer? Will you be selling infrastructure to SaaS companies or SaaS to consumers? Will partnerships with infrastructure help you on the back end while you sell to the end user, or will distributors be the ones selling to the end user? Clearly, the variety of the types of cloud providers leads to a wide variety of customers and partnerships. You will need to identify clearly, which parties look more like customers and which look more like partners. Most startups in the cloud industry will be, in large part, reselling a great deal of the services that they provide. This makes differentiation incredibly important since competing on price alone is essentially impossible without owning the core infrastructure. Use this information to develop a concise mission statement and unique selling proposition. Your USP should be the fundamental guiding force of the marketing strategy you develop. Everything else has to be built around it. In addition to your USP, you should define a clear list of skills that separate your software engineers and network administrators from the vanilla. What specifically do they excel in? How do those skills contribute to your USP? What add-ons do they offer, and how do these skill sets expand and alter who your target audience is? Aside from your target industries and use cases, who are the people who will ultimately be making the decision to purchase your services? Will you be dealing with somebody in procurement? Will you be talking to IT professionals? Do the companies you target have CTOs, and will they be the primary buyers? Will you be selling to business owners and CEOs? Do these people work for small businesses or massive conglomerates? Will you aim to be popular with employees and gain traction from the ground up, or will you be winning over management? All of these factors have a tremendous influence on the psychology of your target audience, and you may need to define multiple target audiences if multiple types of people will influence purchasing decisions. This is where it is very useful to build target personas laying out what types of people you are targeting, what roles they play at the company, what problems they are struggling with, how your services will alleviate those problems, other interests they may have, and who they may need to persuade to obtain the funds. Priority number one for your inbound marketing strategy is to obtain the contact information of the decision makers discussed in section 5. Factoring in all of the information you have clarified in steps 1 through 5, you will need to develop an appropriate lead magnet. A lead magnet is simply a resource valuable enough to a potential lead that they would be willing to share their contact information with you in order to obtain it. Offer a direct and concrete solution to a real problem that your potential leads, the decision makers discussed above, often struggle with and are hungry for a solution to. It should not serve as a full replacement for the cloud services you are selling. The lead magnet should have a natural connection to the cloud services you ultimately hope to sell. It is not enough for it to target the appropriate decision makers if it does not demonstrate an expertise related to your primary product. The important feature of a lead magnet is that it should offer more utility than a blog post or other piece of content than one would expect to or be able to find on the open web. Every piece of content should be designed to accomplish one or more of these tasks, in roughly this order. Develop a broad outline of this strategy and use it to guide your decisions in the aforementioned steps. Topics suitable for publication on third-party sites such as industry magazines and blogs that your leads are likely to be reading. These topics should address problems closely related to your lead magnet enough that a call to action in an author bio would make sense and be attractive. Similar content can be placed on your own site to draw attention to the lead magnet as well. Topics that appeal to your lead which are tangentially connected to your primary product. These can be posted to your site and sent to leads who have provided their email address. Onboarding content, based on user testing, that addresses the most common obstacles new users face and makes it very clear how to make the most of the product in the shortest amount of time. This should be publicly available on your site and sent to new sign-ups. Use cases for your product. This is separate from instruction manual material, with a focus on various ways in which users are taking advantage of the product and explaining in detail how to replicate the results. You will need an outreach strategy in order to earn publication on third-party sites, as well as to promote content on your own site. Recognize that for any outreach strategy to be successful, it must focus on how best to benefit the influencers you are reaching out to, not just how they can benefit your platform. Begin outreach with any vendors or distributors you are currently partnered with, to look for collaborative opportunities. Determine where your decision makers are spending their time and come to a conclusion about who they are following on social media and where they are spending their time, online. These are the people you want to talk to and the places you need to be. Develop a strategy for collaboration with influencers who have audiences like yours. Do not limit yourself solely to influencers within your own industry. Put the focus on who your leads are following, not whether they are within the same industry. Separating yourself from other cloud providers is more important now than ever. 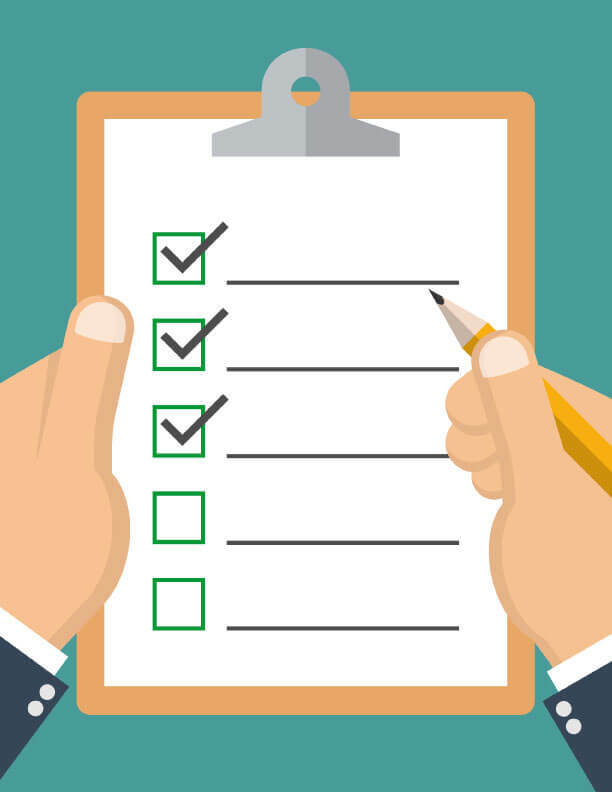 Use this checklist to build a solid marketing foundation.